How To Tell If You or a Loved One is a Narcissist. Narcissistic personality disorder is a mental disorder in which a person has an inflated sense of their own importance, a deep need for admiration and a lack of empathy for others. But behind this mask of ultra confidence lies a fragile self-esteem that’s vulnerable to the slightest criticism. Healthyplace.com defines Narcissistic Personality Disorder (NPD) as a pattern of traits and behaviors which signify infatuation and obsession with one’s self to the exclusion of all others and the egotistic and ruthless pursuit of one’s gratification, dominance and ambition. 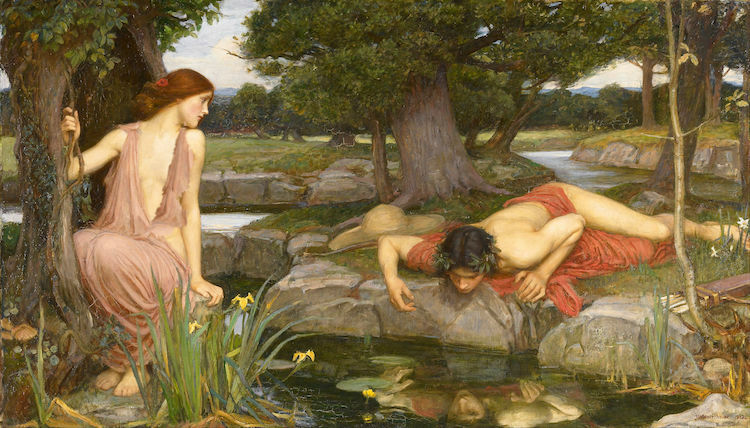 Research shows most narcissists (75 percent) are men. Typically, narcissism begins in infancy, childhood and early adolescence. It is commonly attributed to childhood abuse and trauma inflicted by parents, authority figures, or even peers. Feels grandiose and self-important (e.g., exaggerates achievements and talents to the point of lying, demands to be recognized as superior without commensurate achievements). Is obsessed with fantasies of unlimited success, fame, fearsome power omnipotence, unequalled brilliance (the cerebral narcissist), bodily beauty or sexual performance (the somatic narcissist), or ideal, everlasting, all-conquering love or passion. Firmly convinced that he or she is unique and, being special, can only be understood by, should only be treated by, or associate with other special or unique, or high-status people (or institutions). Requires excessive admiration, adulation, attention and affirmation—or, failing that, wishes to be feared and to be notorious. Feels entitled. Expects unreasonable or special and favorable priority. Demands automatic and full compliance with his or her expectations. Is “interpersonally exploitative,” i.e., uses others to achieve his or her own ends. Devoid of empathy. Is unable or unwilling to identify with or acknowledge the feelings and needs of others. Constantly envious of others or believes that they feel the same about him or her. One of the interesting dynamics of narcissistic relationships is often the “co-dependent” person who has a relationship with the narcissist. By definition, a codependent is someone who depends on other people for their emotional gratification, ego acknowledgment or daily functions. They tend to be needy, demanding, and submissive. They live in fear of abandonment, tend to cling to the other person and display immature behavior in their effort to maintain the “relationship” with their companion or mate upon whom they depend. No matter what abuse is inflicted upon them—they remain in the relationship. By eagerly becoming victims, codependents seek to control their abusers. Sam Vaknin, the author of, Malignant Self-love: Narcissism Revisited says that the “covert narcissist” is a co-dependent who depends exclusively on narcissists (narcissist-co-dependent). If you are living with a narcissist, have a relationship with one, if you are married to one or if you are working with a narcissist, it does not mean that you are an inverted narcissist. As you can imagine, thanks to the American Psychiatric Association and many other fine organizations there is a tremendous amount of information available on the identification and treatment of people with Narcissistic Personal Disorder. But you also can get insights into whether a person has narcissistic or co-dependent tendencies by looking at their natal chart (i.e., Horoscope). Here are some of the planetary combinations often seen in the birth chart of people who have a pre-disposition to narcissistic (or co-dependent) behavior. You will also see a brief explanation of the issues that can arise when this planetary aspect is seen in their horoscope. If you have a copy of your birth chart (or a birth chart of a person you’re interested in knowing more about) and a basic understanding of astrology, you may be able do your own analysis and interpretation of the natal aspects below. Otherwise, since this is a serious subject, it is recommended that you consult with a professional astrologer to get the most accurate interpretation and understanding of what these planetary combinations mean—before concluding that anyone (including yourself) is a narcissist or co-dependent personality. Pluto square aspects to Sun, Mercury and Mars = Can indicate manipulating, exploiting, controlling, selfish, entitled and arrogant, angry behavior, need to be feared. Neptune square aspects to Sun, Moon, Mercury, Venus, Mars = Can indicate distortion, illusion, fantasy-thinking, over-idealization in love relationships, self-deception, low-self esteem, lack of boundaries and special pre-disposition for co-dependent relationships. Uranus square aspects to Sun, Mercury, Venus, Mars = Can indicate arrogance, haughty behavior, stubborn independence, distain for living by rules and standards that he insists others live by, devoid of empathy, emotionally detached. Saturn square aspects to Sun, Moon, Mercury, Venus, Mars = Can indicate shame and self-esteem issues which can lead to compensatory narcissism or even co-dependent behavior, calculating, manipulation for personal gain, anxiety and depression. Jupiter square aspects to Sun, Moon, Mercury, Venus, Mars = Can indicate arrogance, grandiosity, self-indulgence, self-importance, entitlement, feelings of being special, excessive need for acknowledgment. If you’re already in love and want to find out if you’re really compatible for marriage with another person, go to the FREE Love Compatibility Calculator and enter your birth date and theirs. And, if you want a customized report on your compatibility together, order Your Love Compatibility Report. Mantra: “I am Love”—Moonstone & Rose Quartz Necklace. I don't seek to control the narcissist I live with but I do demand he become a better person and one that can be lived with healthily. Nobody eagerly becomes a victim at all and many dependants started out looking for love like anyone else. They had a feeling something wasn't right with the 100 mile an hour romance but not being subjected to this kind of behaviour before, wouldn't know the person in front of them had anything going on other than genuine intentions. You only find out half of the behaviour when you DO challenge and you DO ask for better. So I disagree. Nobody eagerly asks to be treated so poorly. The pathological ways in which co-dependents are described in articles such as this one is, I believe, why there are so many articles on the subject substituting "empath" for "codependent." I don't think empath is necessarily the right word and I do think anyone caught in a codependent/narcissistic relationship has a lot of work and healing do to, but "By eagerly becoming victims....." Seriously? How about, "By virtue of being born female and socialized in a patriarchal society, the act of self compromise is culturally mandated."